The you think about something, the more you get into it. Months ago I was talking about this ride with Ferg and Ville. We had the idae to let this ride be the second edition of the dream team ride to Monganshan back in October 2015. But no, now I am considering to go for it just by myself. Anyway there are at tleast two other riders from Shanghai starting in that particular 2nd edition. Tyler and Ewen. Timeline is tight, talking to the organizers, they are willing to accept a late registration, so I need to follow up all relevant details to get to the starting point and back home from the finishline, quickly and smooth. As I have a deadline again, being back in Heidelberg on September 30th. Transportation to the starting point as I won’t fly into Tokyo but to the finish line, Osaka. Accomodation required? Need to get clear on this point before the start. I should not participate but the heart wants to join. What shall I do? As a real final for this year?! Hm, still not clear and decided on what to do about it. 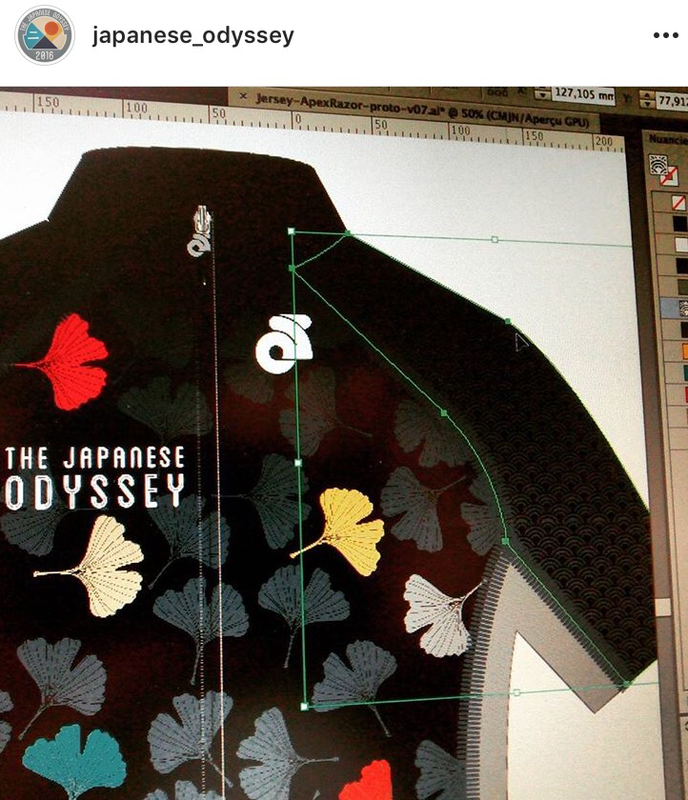 Jersey sneak peak on the instagram account of T-J-O.